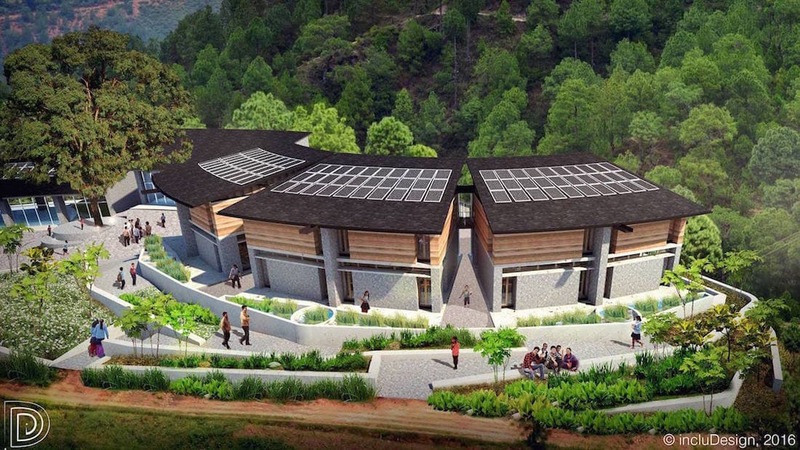 In November 2015 representatives of FONA visited the village in Sindhuli to talk about the plans for post earthquake reconstruction and our ambitions for the establishment of a start-of-the-art school and community centre. The reception we received by the students of Shree Ganesh School was overwhelming. Every single child in the school came to welcome us with flowers and blessings. It was a very touching experience to be greeted by the big smiles and warm embrace of the students. Where the school had once stood were crumbling buildings and piles of rubble. A series of lightweight Temporary Learning Centres which had been erected by an international NGO as part of the immediate humanitarian response. 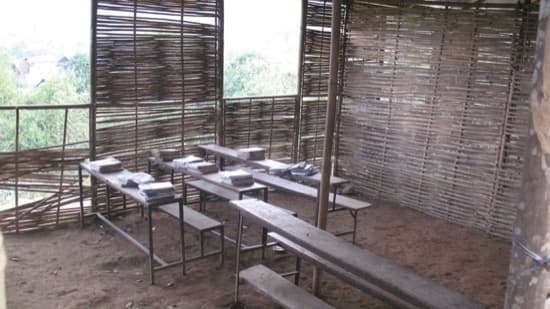 The TLCs offered decent temporary shelter with light and ventilation but these are not appropriate learning environments for students over the winter. Clearly only a temporary solution. What was clear to us was that even aside from the earthquake, the school facilities were very very basic. Some classrooms had no furniture and students were sitting on plastic sheets on the floor. Students shared pens. Some classrooms had no whiteboard. We found out later that this humble school lacked some of the basic facilities students needed to compete even the core educational curriculum, such as science and maths. It was hard to fathom that students could fail school simply because they couldn’t pass the practical component of the exam for lack of resources. We realized how the needs of the community were much deeper than buildings. We take even the simplest study tools and facilities for granted. But the sentiment of the day was pure excitement. We were excited to begin the process of designing the model education centre and the community was excited by our vision, the prospect of being the lucky first community to pilot the model school concept, and importantly, by being invited to participate in the design process. Joining us on the visit was our talented and gracious architect, Angelica Rojas Gracia a PhD candidate from one of Australia’s leading tertiary institutions the University of Melbourne. Angelica led the community engagement program and invited participation from the local community to inform the design. Students, teachers, parents, the school management committee and district education officials were invited to share their vision for the new education centre. Our thanks to Angelica Rojas Gracia and the University of Melbourne for coming all the way to Sindhuli Nepal to collaborate with FONA and to help us realize our vision for a high quality and beautiful school for a rural community in Nepal. This work will also contribute to research in the area of participatory architecture to show how architecture design can be used to have a positive impact on the social, ecological and economic environment, which is very exciting. Even the poorest children deserve access to high quality education and it is our aim to develop a model school that is capable of being replicated across Nepal. By taking a participatory approach and embedding the community’s aspirations into the school design, we aim to instill hope in these children that their dreams can come true when they see their dream school become a reality. We look forward to sharing with you some of the key insights from the community consultation.